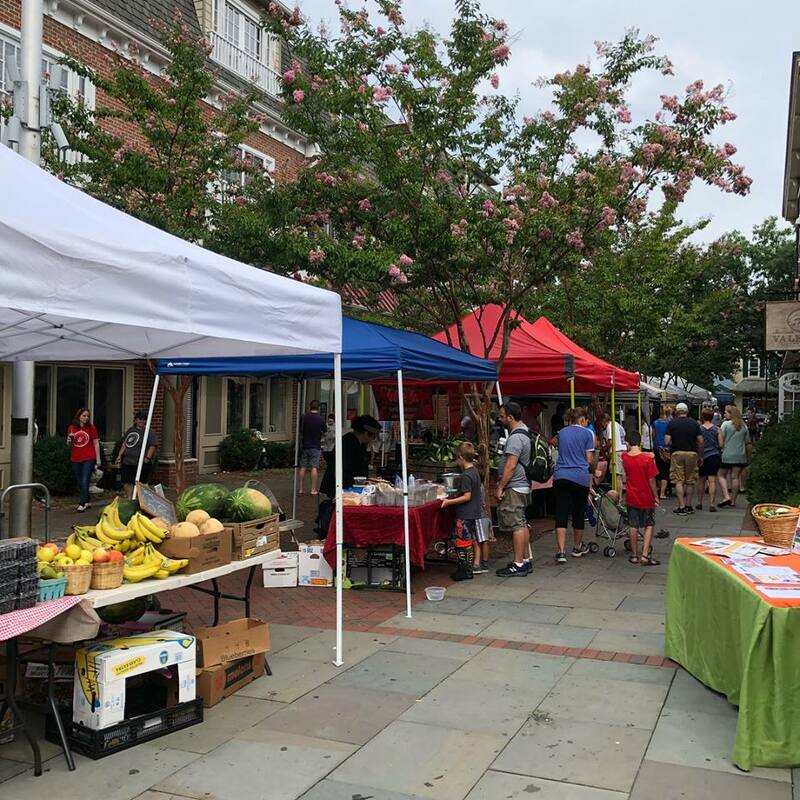 A Garden of Savory Delights | Haddonfield Farmers Market ~ Celebrating our 13th Season in 2019! Last week, I promised to explore the savory side of the market, so I did, and what a treasure trove of savory delights I found. First stop at Café Fiore for my usual bacon, egg and cheese on a homemade biscuit. It’s delicious and a bargain to boot! Owner Susan also offers a variety of other, made from scratch items, including quiches, roasted brussels sprouts (which I know from personal experience are fantastic), chicken salad, and more. As the smell of a rotisserie was begging for my attention, my nose led me to Efrain Sandoval’s booth where he was at the helm creating his roast pork and pineapple Tacos al Pastor. Tacos for second breakfast? You bet! He also serves quesadillas, steak tacos and a bangin roast pork sandwich with onions, cheese, cilantro and more of that delicious roasted pineapple. Next door was Chef Kendall at Respond Bakery, a market mainstay for years, where I picked up my pastry splurge and some of his fantastic cornbread for a friend. It’s easily the best I’ve ever had. Next, I did my weekly shopping, grabbing beets for roasting and pickling, green beans for a Salad Nicoise, and stocking up on free range, GMO free eggs all from Matt at Duffield’s. I picked up some beautiful Jersey tomatoes, eggplants and peppers from Haynicz’s and grabbed a bottle of their mango habanero hot sauce. Perfect for those eggs, and in my house, just about everything! I also purchased a bag of freshly roasted Free Trade, Organically sourced coffee from Don at Jersey Devil Java. Good coffee is the fuel that keeps me going and his is terrific. It’s roasted right here in South Jersey and you can get it whole bean or ground. It wouldn’t be a market day without my weekly loaf of bread from Dulce Artisanal Pastry. My current favorite is the sourdough but check out the Olive Thyme when they have it. These folks really know their bread. I also bought a ham and cheese croissant to take to work later. Decadent and delicious. Speaking of bread, a new item at the market this year is Paozino Brazilian cheese bread. Little balls of cheesy, chewy, fluffy goodness, available in both traditional Parmesan, and Spinach, Kale & Garlic. Perfect for snacking. I’m half Portuguese, so of course I had to try them too. I sat for a moment to check my list and enjoy the music and a merengue demonstration by Dance Haddonfield, which added to the already delightful atmosphere of the market, and then circled back around to one last vendor, Pizza Crime, to get a better look at his pizzas. One in particular stood out to me, the Summer Special with 4 cheeses including Buffula Mozz, fresh garlic and herbs, and an egg cracked onto the middle of it, before it made it’s way into the oven. Alas, I was full, but I heard from a friend later, that it was just as amazing as it looked! See you at the market next week, when I’ll be perusing some of the nonfood items available from our vendors!